Sharing stories and photos of places I’ve been to and stuff that I like! Now until August 31, 2010 at all Gift Gate and Sanrio branches! Check them out and stock up on the cute stuff! Something to Look Forward to this August! 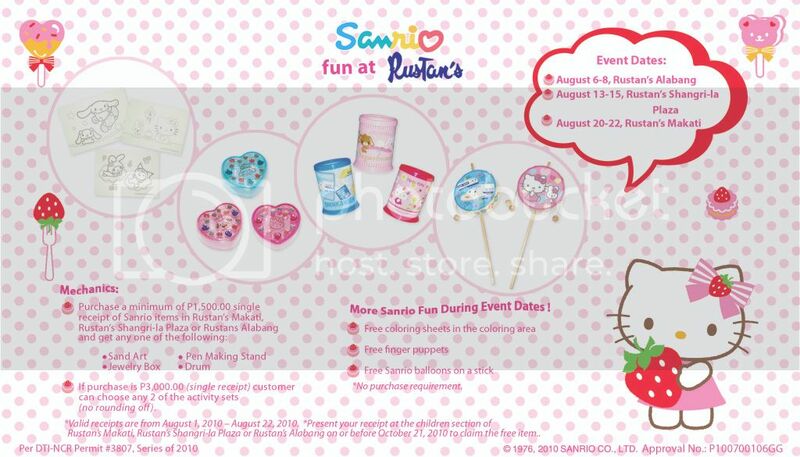 You’ll get free Sanrio items like coloring sheets, finger puppets and balloons, no purchase required! 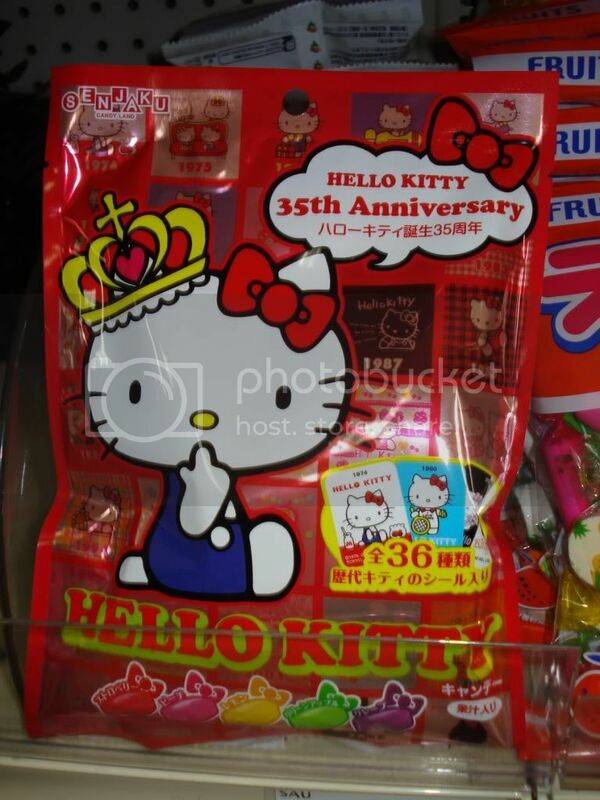 Just make sure you buy between August 1 to August 22, 2010 to claim your free stuff from Sanrio! Posted in Must Visit, Fun! 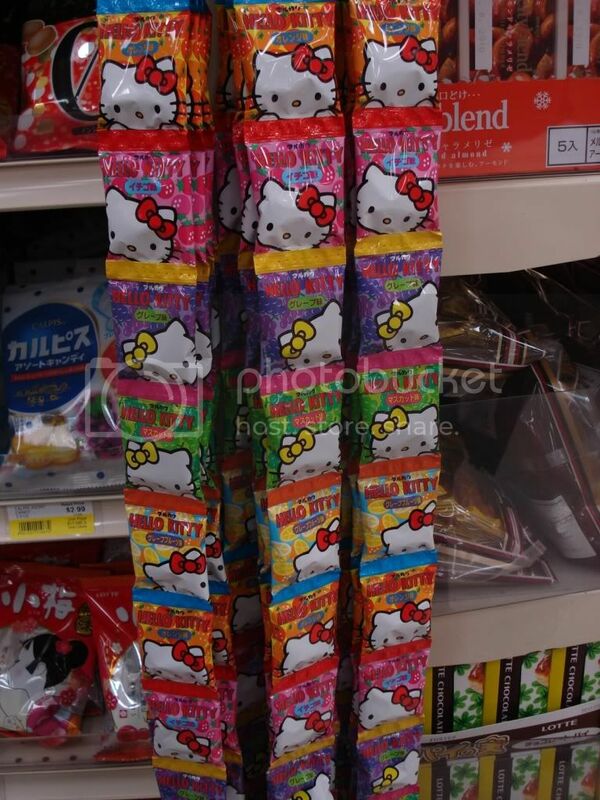 Somehow, the packaging of these Hello Kitty fruity candies remind me of shampoo sachet packaging! 1. 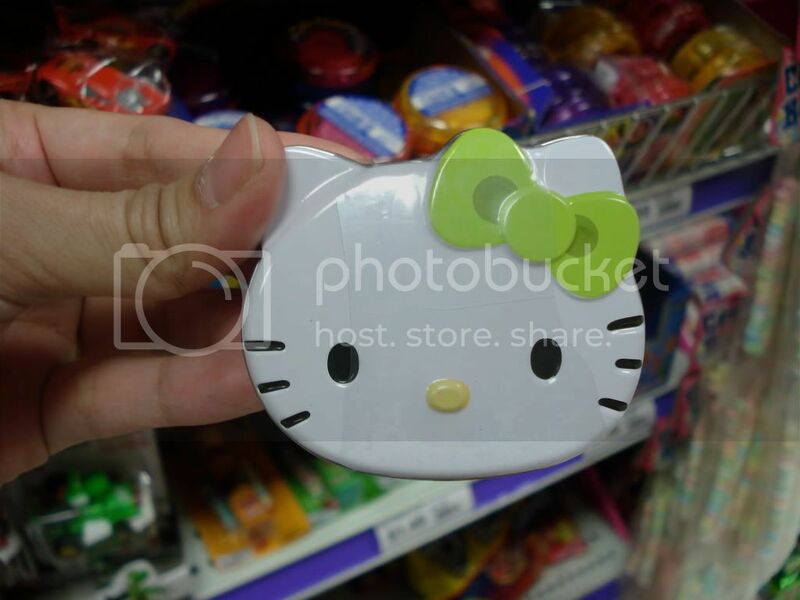 We’re talking about Hello Kitty, hello! 2. It comes in 5 different flavors! Grape, green grapes, strawberry, orange, and something that looks like - tomatoes?! 3. It’s edible! Candy vs. shampoo, uhhmmmm, that’s a no brainer right? Unless you have a fetish for washing your hair, hehehe. Found these a couple of months ago actually! But hey, gotta share something “historic” such as this right? Discovered this in Mitsuwa, the Japanese grocery store. Can’t remember how much this was though! Oh well! Not that these would still be around I think! Super cute! It’s white, but with a little surprise! 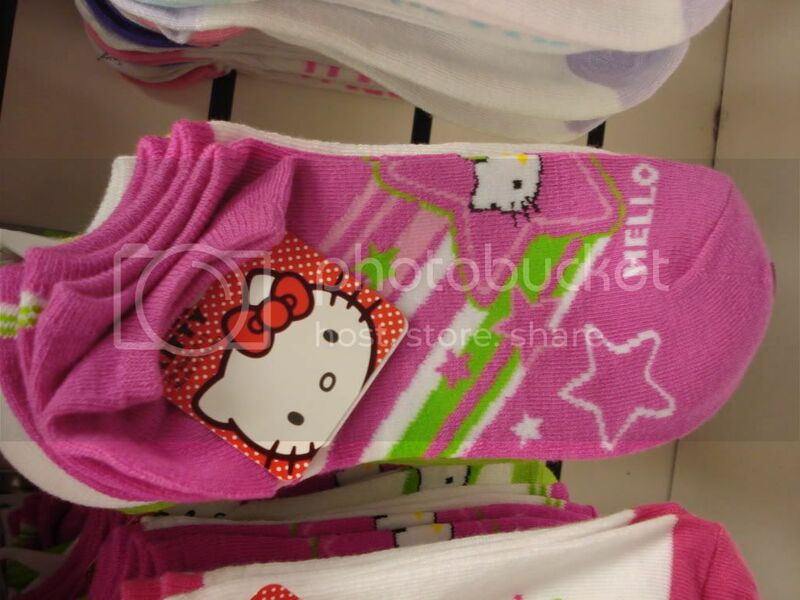 A hint of color but Hello Kitty staring right back atcha! A pack contains 5 colors! Pink, yellow, apple green, turquoise, and lavander! They’re white socks, but not so plain! See? Comes in six juicy colors too: grape, turquoise, lime green, orange, ruby red and hot pink! You get plain one, 2 plain ones with some stripes, a printed one, and polka dotted socks! Found these at TJ Maxx as well, for about the same price as the last set I posted! 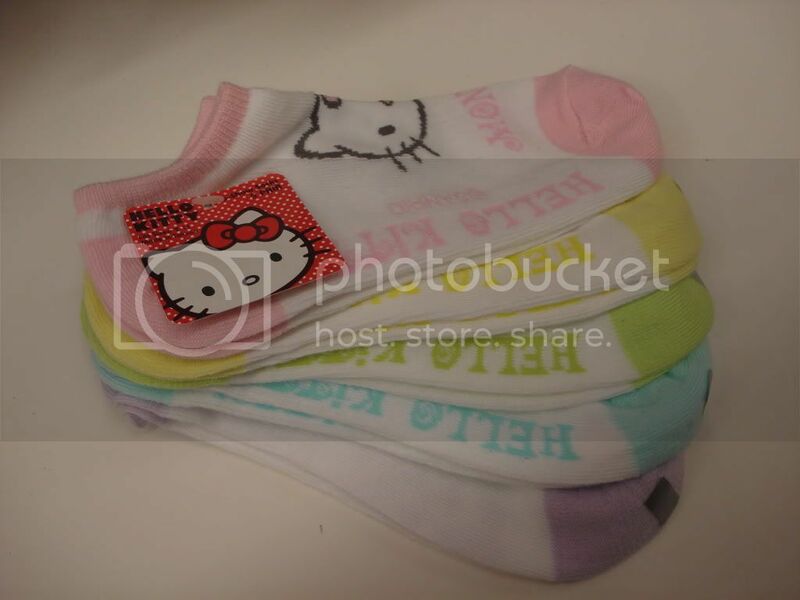 Honestly though, while these are cute, wouldn’t it be hard to pair this socks with an outfit? Unless you’re in the Lilly Pulitzer color family of pink, green and white! Yez, it’s edible! Now you can apply and lick, apply and lick, apply and lick! I think Berry will get a kick out of this! She loves to nibble on my stuff, if I give her this (when she’s a bit bigger, no sweets for her now!) then I wouldn’t worry about her ingesting what she shouldn’t! Heehee! I showed you sweet. I showed you sour. Now, I’m showing you PRETTY sweet! 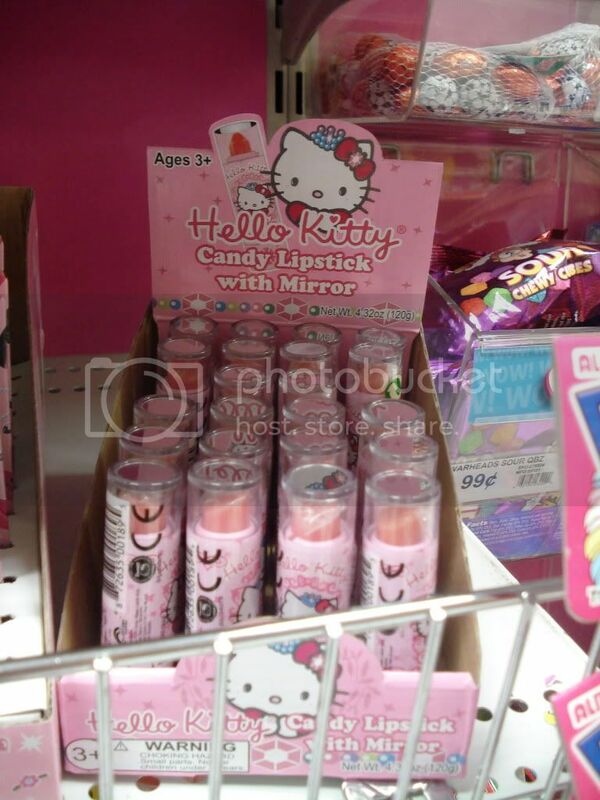 Part candy, part beauty tool, these Hello Kitty Candy Lipsticks with Mirror are just too darn adorbs! Practical too in a way. After you eat all the candy, you can still keep this and use the mirror! Well, that’s just me! I don’t know about you! Hahaha! From something sweet, let’s go to something SOUR! Hahaha! 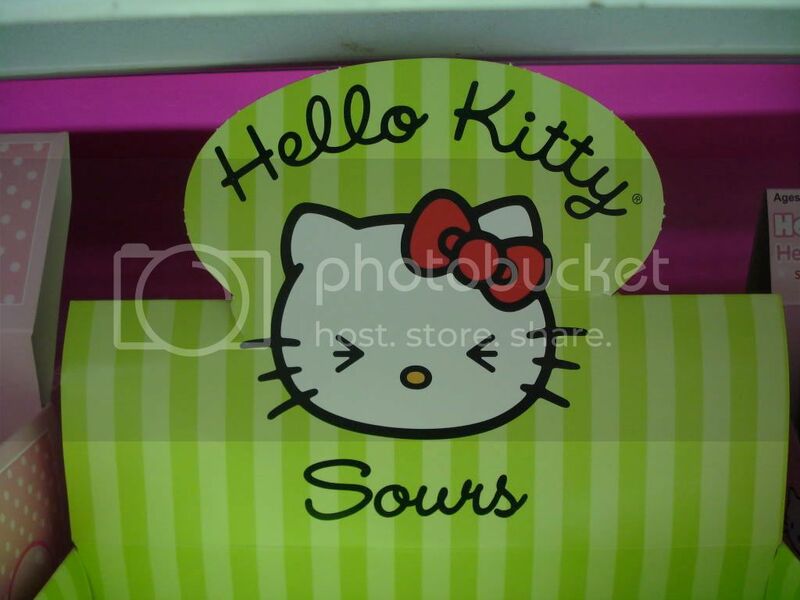 Gotta love Hello Kitty’s puckered-up sour face here!!! I never really bought this, so I can’t say if these taste sour, but I would assume, this might be of the Super Lemon kind of phenomenon! Although, the packaging itself bears no clue as to how sour these candies should be! See, Hello Kitty seems fine!